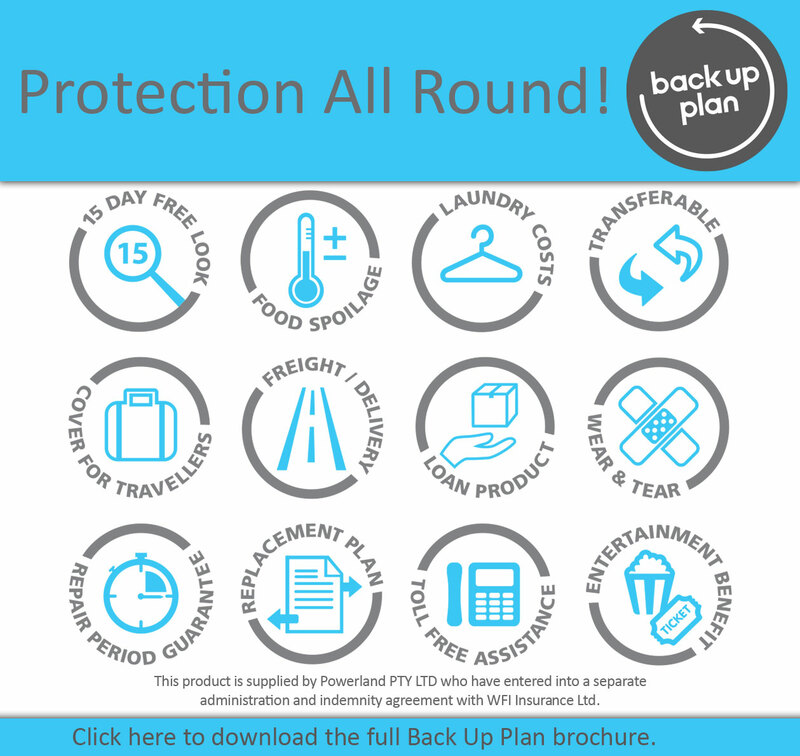 Pre-treat your clothes easily and efficiently. 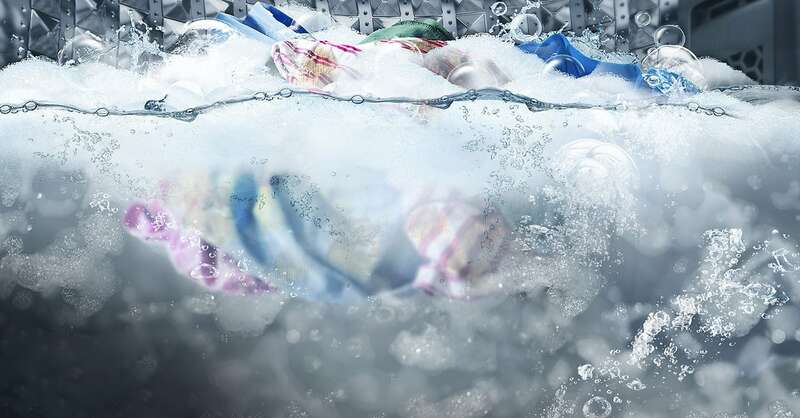 The new Activ DualWash has a bigger1 sink to pre-treat delicate and heavily soiled clothes. It has a built-in water jet, which can be controlled with a button. And, with everything in one place, you won’t drip water everywhere. Help keep unsightly speckles off your whites and darks, and protect your drainage from getting clogged up. 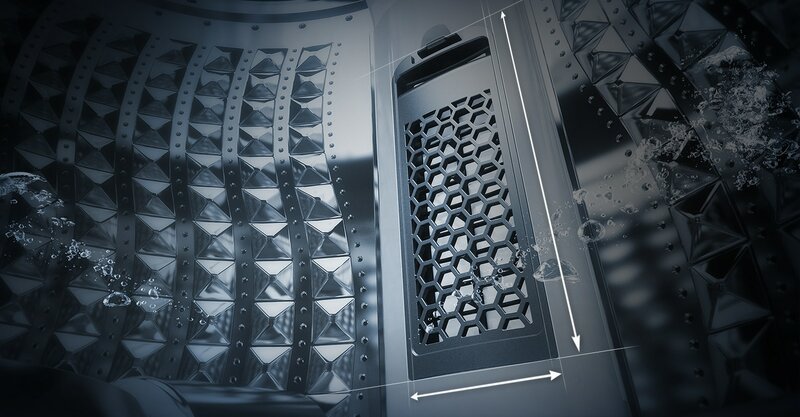 Two Magic Filter gather the lint, fluff and particles that come out of your laundry, helping keep your clothes clean. And it’s easy to empty, so you can keep it working efficiently. 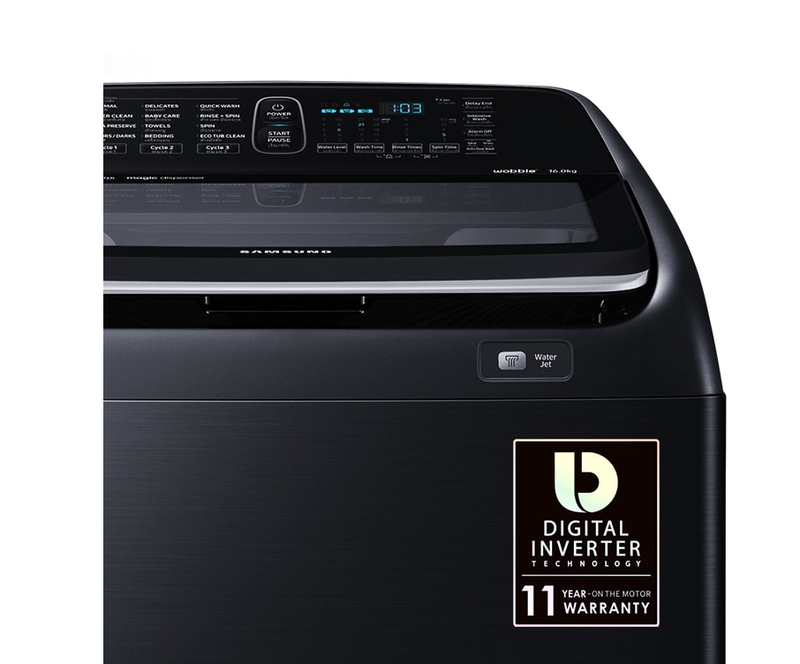 Digital Inverter Technology delivers low fuss for a long time - with an 11 year parts warranty. 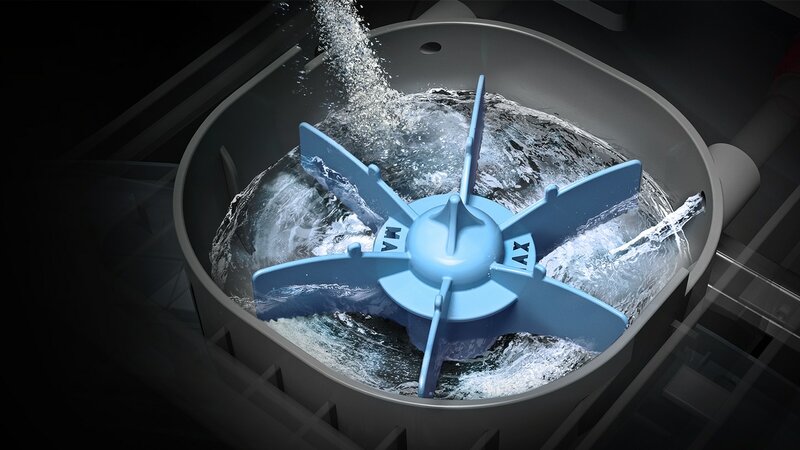 The motor works without brushes, which helps to reduce the number of separate moving parts and friction, making for a low vibration motor with a quiet wash cycle. With the touch of a button the Super Clean function helps remove a wide variety of stubborn stains for extra dirty loads. It quickly pre-mixes detergent and enables the water to penetrate deep into the fabric, for enhanced performance dirt removal.